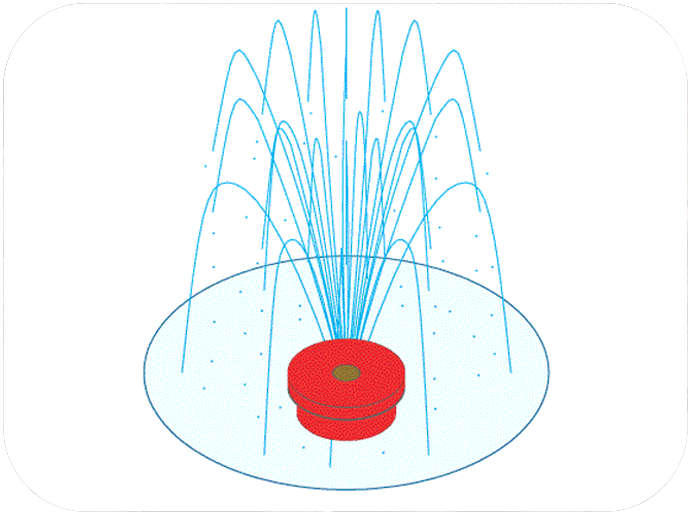 A gentle spray that shoots two rings of water outward. A gentle spray that shoots two rings of water outward. The inner ring has nine holes and is pointed at a shallow angle from the center. The outer ring has eighteen holes and is pointed more away from the center. 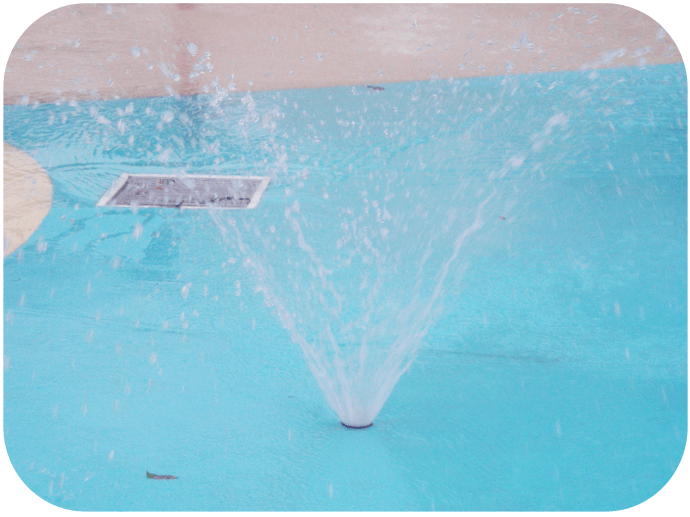 Low spray height can be used virtually anywhere on a Splashzone. The double calyx uses more water that the single calyx. Mix with single calyxs and other ground sprays to get a variety of looks.